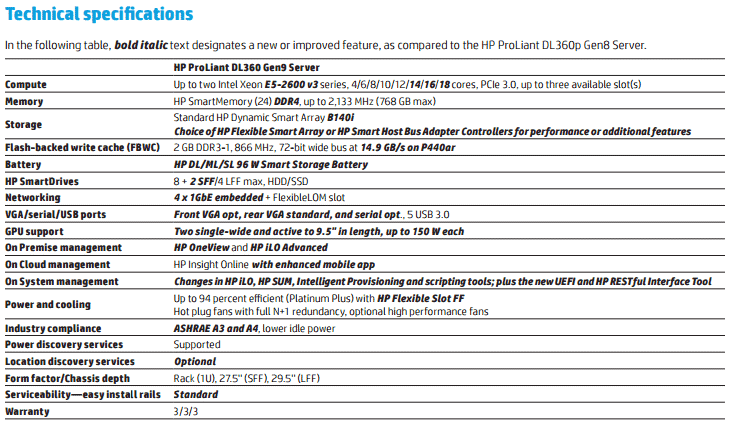 The HP Proliant DL360 Generation 9 delivers reliable performance to handle your demanding workloads. It provides increased memory capacity but is space-conscious in its 1U design. This next-gen 360 allows for in depth monitoring of server health and performance. This trusted server has a secure boot feature and built-in security applications which help to ensure the safety of your data. Then Gen9 is a ideal choice with optimized firmware and driver updates. Manage your applications with ease and efficiency with the Proliant series. 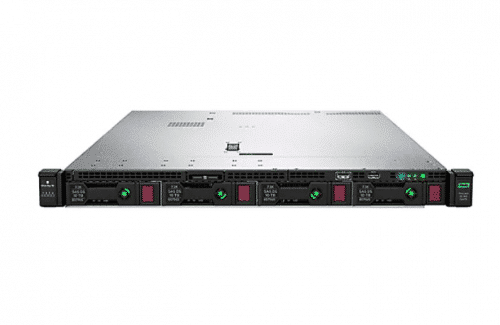 The HP Proliant DL360 Generation 9 server is a high capacity rack server. It is flexible in its configuration, with up to 3.0TB of memory. It is an energy-efficient solution with reduced downtime. This server is made to handle enterprise-level workloads and databases. It is a high-performance machine with easy serviceability features. 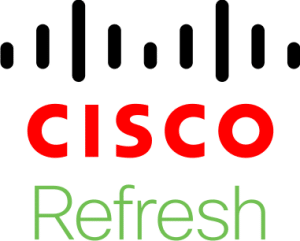 It offers user-friendly technologies for deployment and is a reliable addition to your network. 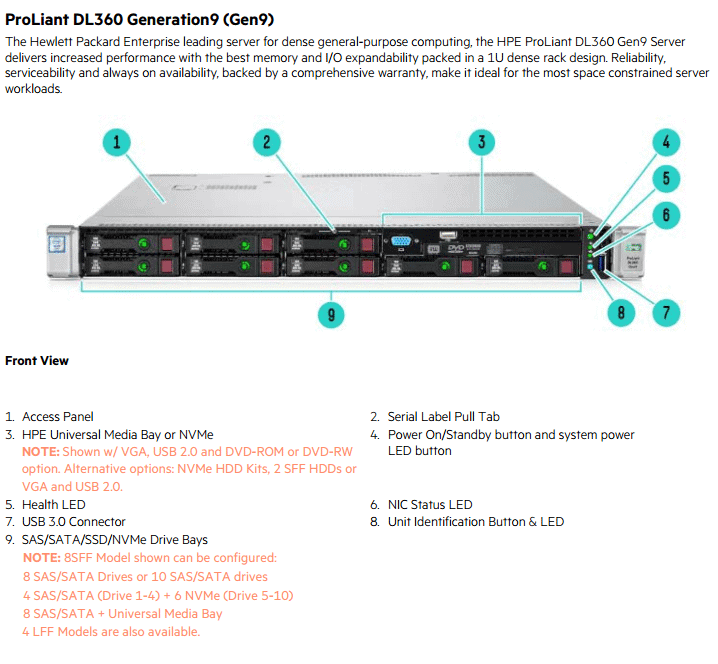 The DL360 G9 model supports Intel Xeon processors and has improved temperature standards. 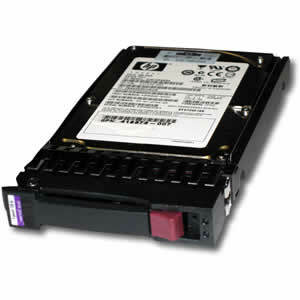 The high efficiency server reduces power drain and cuts operational costs. The next-gen server aids in management and offers convenient remote options. 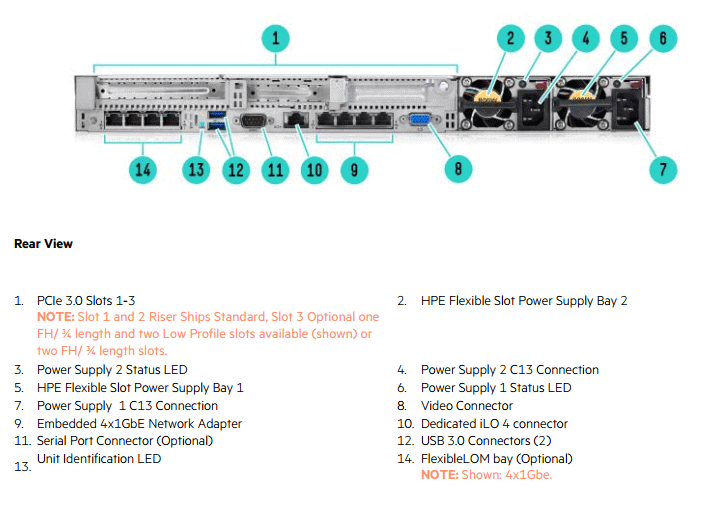 You have a choice of Embedded 4x1GbE, HPE FlexibleLOM, PCIe standup 1GbE to 10/25GbE to 40GbE adapters which provides flexibility of networking bandwidth and fabric so you can adapt and grow to changing business needs. Achieve greater capacity with flexible drive configuration options with up to ten SFF, four LFF drive along with option to support up to six NVMe PCIe SSDs delivering optimal performance, capacity, and reliability to meet various customer segments and workload requirements at the right economics. HPE Persistent Memory, the world’s first Non-volatile DIMM (NVDIMM) optimized on ProLiant, offering unprecedented levels of performance for databases and analytic workloads. 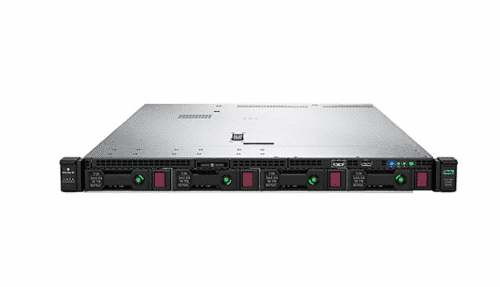 The HPE ProLiant DL360 Gen9 Server supports industry standard Intel® Xeon® E5-2600 v3 and E5-2600 v4 processors with up to (22) cores and 3.0 TB of HPE DDR4 SmartMemory. 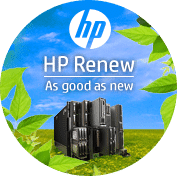 High efficiency redundant HPE Flexible Slot Power Supplies provide up to 96% efficiency (Titanium), HPE Flexible Slot Battery Backup module and support for the HPE Power Discovery Services offering. ENERGY STAR® qualified server configurations illustrate a continued commitment to helping customers conserve energy and save money. 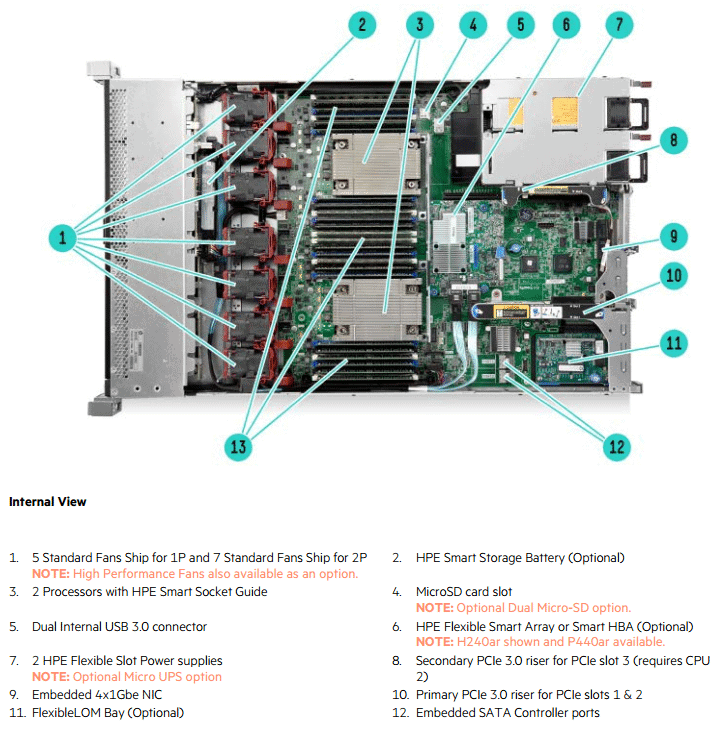 With the HPE ProLiant DL360 Gen9 Server, HPE OneView provides infrastructure management for automation simplicity across servers, storage and networking. Embedded management to deploy, monitor and support your DL360 Gen9 Server remotely, out of band with HPE iLO. Optimize firmware and driver updates and reduce downtime with Smart Update, consisting of Smart Update Manager (SUM) and Service Pack for ProLiant (SPP). The HPE ProLiant DL360 Gen9 Server comes with a complete set of Technology Services, delivering confidence, reducing risk and helping customers realize agility and stability. HPE provides consulting to transform your infrastructure; services to deploy, migrate and support your new ProLiant Servers. HPE provides consulting advice to transform and modernize your infrastructure; services to deploy, migrate and support your new ProLiant servers and education to help you succeed quickly. Worldwide availability, service and support for customers who have multiple data centers in multiple countries. Because CCNY Tech is an HPE Authorized Channel Partner reseller, you receive a global limited warranty! 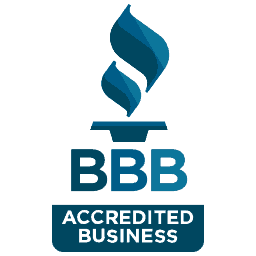 We supply homes and small businesses with the IT equipment that is right for their environment. We love to help our customers so please send us a Live Chat if you have any questions!